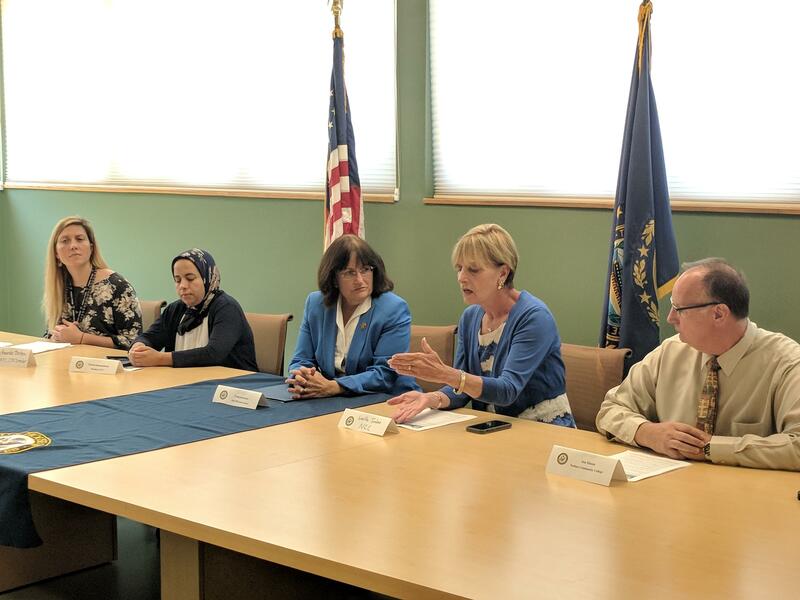 Last week I visited Nashua Community College (NCC) to announce my Jobs and Opportunity Agenda and highlight NCC’s partnership with BAE Systems that provides training to local residents in skills sought after by BAE and other local employers. In New Hampshire, we’re lucky to have one of the lowest unemployment rates in the country, but at the same time workers' skills don't always align with what employers need. I want to make sure we are doing everything we can so that all Granite Staters can make a decent living and get ahead. The NCC and BAE partnership is the type of collaboration I will seek to expand in New Hampshire and throughout the country, and my legislative agenda outlines a comprehensive approach to expanding economic opportunity by bolstering apprenticeships and vocational training programs, addressing the out of control costs of higher education, investing in infrastructure and broadband expansion, increasing affordable housing, and supporting working families with paid family leave and childcare programs. I also visited Hypertherm in Lebanon to further discuss my Jobs and Opportunity Agenda and to hear directly from Upper Valley business leaders about the employment landscape in the region and the types of programs that can expand economic competitiveness and opportunity in the Lebanon area. Hypertherm continues to implement innovative training programs that provide college credit while also doing important outreach in the community to help students become interested in STEM education at an early age. 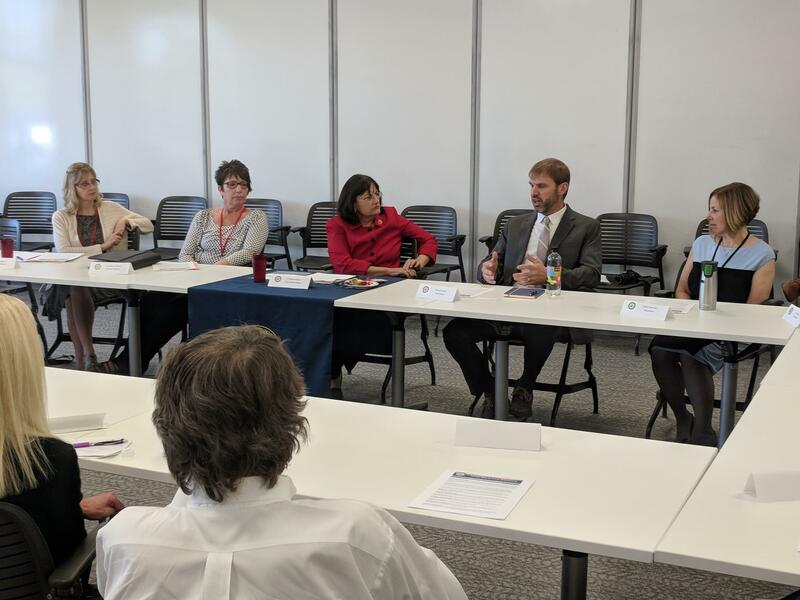 I appreciated hearing the insights of the people who joined me for this conversation, and I’m glad I got to have a similar discussion on Monday at NHTI, Concord’s Community College, with educators and local business leaders. Hypertherm and NHTI are both doing important work to bolster our workforce in the Granite State and I look forward to continuing my efforts to expand economic opportunity for all. 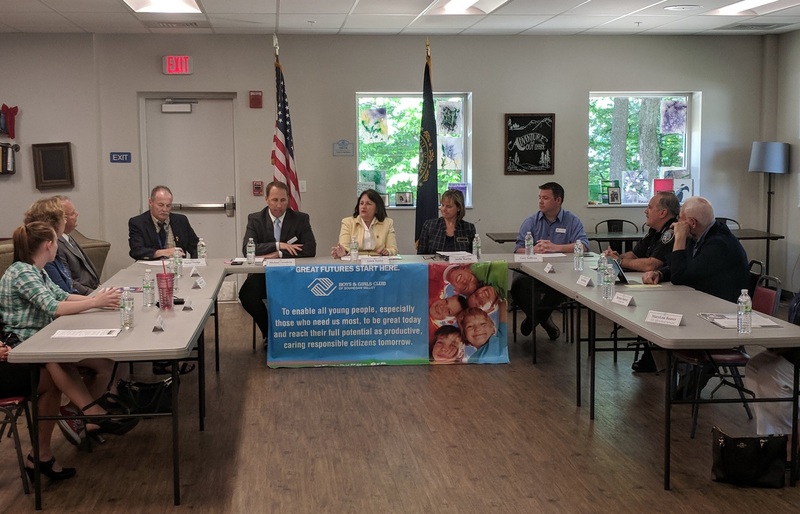 On Thursday, I visited the Boys & Girls Club of Souhegan Valley and spoke with leaders in the education and nonprofit fields as well as local officials about how we can work together to support young people impacted by the opioid epidemic. This crisis has created serious hardship for many children and their families, and programs like the Boys and Girls Club are crucial to providing stability for our youth. On Friday, I joined Adam Sexton on WMUR’s Close Up for a wide-ranging conversation on topics from improving care for veterans to my support for the “Right to Try” bill that was recently signed into law. You can watch the interview here. 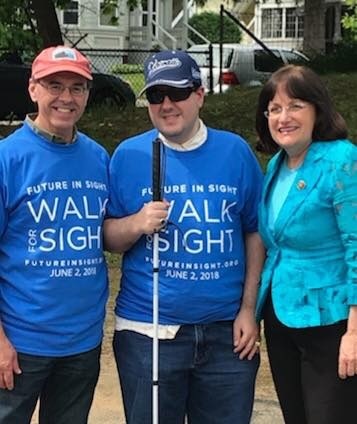 I was so proud to take part in the kickoff celebration for Future in Sight’s 15th annual Walk for Sight in Concord on Saturday, and humbled that this wonderful organization recognized me as this year’s “Walk in My Shoes” honoree. Future in Sight is dedicated to bettering the lives of Granite Staters with vision impairments, and I look forward to continuing to work with this organization to make New Hampshire an even better place to live. My most important responsibility is to serve you, the people of New Hampshire’s Second Congressional District. If you have questions, thoughts or concerns, please don’t hesitate to reach out to my Washington, D.C. office at 202-225-5206 or my Concord office at 603-226-1002. Thank you and I hope you have a great rest of the week!